I am probably the worst Pipeline Performance Group LLC consultant to write an article about developing good nutrition habits. One definition of habit is “an acquired behavior pattern regularly followed until it has become almost involuntary.” I can practice good nutrition for brief periods of time, but am subject to frequent lapses. My good behavior patterns are not followed long enough to be acquired and involuntary. Am I the only pipeliner with that problem? I think not. Does working rotating shifts make it more difficult to eat the right types of food in the right amounts at the right times of the day? I think so, from my own experiences as a shiftworker and from my observations of others. 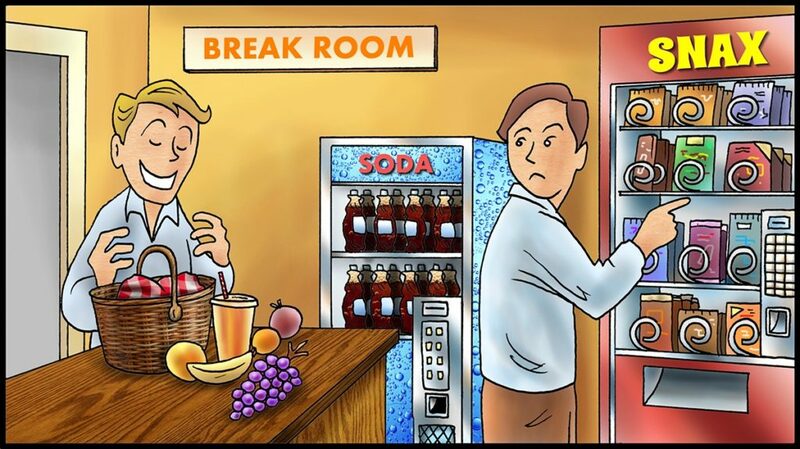 If a control center has machines with food and drink, the choices are not that great even if they are convenient. While it is less convenient to bring healthful foods with you, that provides more control over what you eat while at work. Of course, one still has to avoid the temptations of the snack machines or food that someone else provides to the control room employees. I was in a field control room last week, and the “leftovers” from a meeting included a coffee cake, cinnamon rolls, and bagels. Those are hard to resist, particularly if one is fatigued and hungry. The best nutrition habit I have developed is to drink plenty of water, in order to stay well hydrated. It helps that some of my colleagues are constantly preaching about the benefits of water, reminding me to drink more water, and giving me bottles of water. A bad nutrition habit I have eliminated is drinking soda, particularly diet drinks. Those same colleagues also preach about the evils of soda. I saw an article recently, with 2016 statistics, that soda sales had fallen for the twelfth year in a row. Another improvement is that I have reduced the amount of caffeine I consume and no longer use coffee. When one is filled with water, it is more difficult to consume other beverages. A controller in Canada commented on how much coffee I had consumed and told me he was once the same way. He suggested it might be beneficial to drink less coffee and more water. He also touted the benefits of green tea. He was right on all counts. Evaluate your nutrition habits using these ten tips from the Dieticians of Canada. Assign a point value of 10 to each tip and determine your score. My score most days is 50. The Factsheet contains more information about each tip and I recommending reading the entire Factsheet. While some may be more difficult than others to implement, all could be worthwhile in my case. Eat your “main meal” before going to work. Pack your own healthy snacks. Avoid fatty, fried or spicy foods. Have a light snack before bedtime. Dieticians of Canada Factsheet, may be reproduced in its entirety.